While that certainly indicates that he’s a fan, it wasn’t until a report surfaced yesterday on The Wrap indicating that this is indeed going down. So far HBO, WBTV, and Nolan’s representatives have all declined to comment, but we’re keeping our fingers crossed for this one, hoping their sources are accurate. HBO spent a small fortune acquiring the rights to Foundation when they came up for sale this past summer after a number of failed attempts to bring it to the screen, any screen. 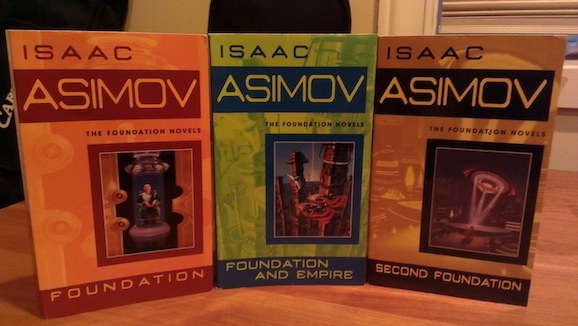 Though there are a number of newer additions and prequels, the core of Foundation are Asimov’s three original novels, Foundation, Foundation and Empire, and Second Foundation, and that is going to form the basis for the series. There is certainly more than enough in this trilogy to build a series on, and there’s much more to mine in Nolan feels like it. 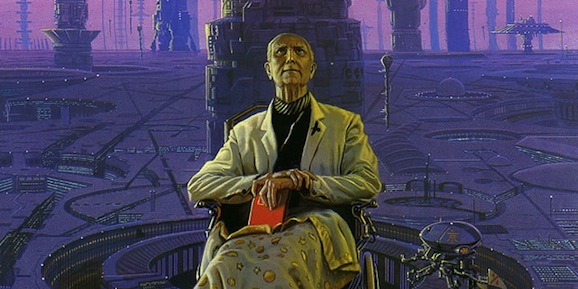 Set in the distant future, the Galactic Empire rules the whole Milky Way, and Hari Seldon, a scientist, has developed psychohistory, a system that combines a number of factors and indicators to predict the future of civilization. But what he sees is not good, envisioning the fall of the Empire and 30,000 years of darkness. If he plans it right, however, he can reduce this to one thousand years, and sets up the Foundation to accomplish this goal. But while he can foresee a broad skeleton outline of what’s to come, his calculations have trouble accounting for chaotic human nature. There’s no timeline laid out for Foundation at the moment, and like I said, it’s not official yet, but you can bet we’re going to have our eyes peeled for any news about this one. I am geeking out!! I would love to see this! Nolan drops some profanity in the interview quotes so don’t read if that would bother you.